Deakin University adalah universitas keempat di Victoria. Didirikan tahun 1974, dan sebelum besar seperti sekarang, Deakin awalnya merupakan institusi kecil, namun sekarang, Deakin adalah universitas yang dikenal di dunia. Universitas ini sangat mementingkan kontribusi pada edukasi melalui riset yang inovatif. Deakin juga percaya bahwa kemanapun Anda pergi, Anda dapat bersinar. Deakin adalah salah satu universitas kelas dunia, seperti dinilai QS sebagai universitas bintang lima. Deakin juga pantas diberikan poin lebih untuk hal-hal berikut: fasilitas, bidang studi yang beragam, dan program riset yang bonafit. Selain itu, QS World University Rankings 2015-2016 menganggap Deakin sebagai universitas ke-324 terbaik di dunia. Program di Deakin didasarkan atas dua puluh tiga bidang studi yang dapat membantu memenuhi passion Anda, meskipun bidang studi yang paling populer ialah Bisnis. Ada empat fakultas di universitas ini: fakultas seni dan pendidikan; fakultas bisnis dan hukum; fakultas kesehatan; dan fakultas sains, teknik dan lingkungan. Deakin University memiliki empat kampus, kampus utama merupakan kampus Burwood. Tiga kampus lainnya adalah Geelong Waterfront, Geelong Waurn Ponds, dan kampus Warnambool. Deakin menawarkan serangkaian fasilitas berdasarkan kebutuhan Anda. Contohnya, saat Anda sakit, setiap kampus di fasilitasi dengan pusat kesehatan. Jika Anda adalah orang yang suka berolahraga, selalu ada waktu untuk berkunjung ke pusat kebugaran. Deakin received 5 stars in the latest QS Stars Rating and was ranked 324 globally in the 2015/16 QS World University Rankings, as well as 36th in the QS Top 50 Under 50. Deakin now ranks at number 293 in the world by QS World Ranking 2017. The latest ranking places Deakin in the top 1.1 per cent of universities in the world and cements the university in the top 2% of universities in each of the three major global rankings, which also includes the ARWU and Times Higher Education (THE). Deakin’s education and training programs were ranked 32nd in the world in the 2015 QS World University Rankings by Subject. For five consecutive years, Deakin has achieved the highest level of overall student satisfaction amongst Victorian universities based on 2010–2014 Australian Graduate Survey responses to 'Overall Satisfaction' amongst bachelor's degree graduates. Deakin won an award as the Cyber Security Educator of the Year for two consecutive years by the Australian Information Security Association (AISA) at the Australian Cyber Conference 2018. This quote by Benjamin Franklin is, and always will be, my favourite. Simply because it is one of the reasons on why I chose to study here at Deakin University. Was investing in my knowledge easy? Definitely not. Was it worth it? Definitely yes. To start off, let me introduce myself. My name is Putu Yesy Dinda Pniel, but you can call me ‘Yesy’ for short. 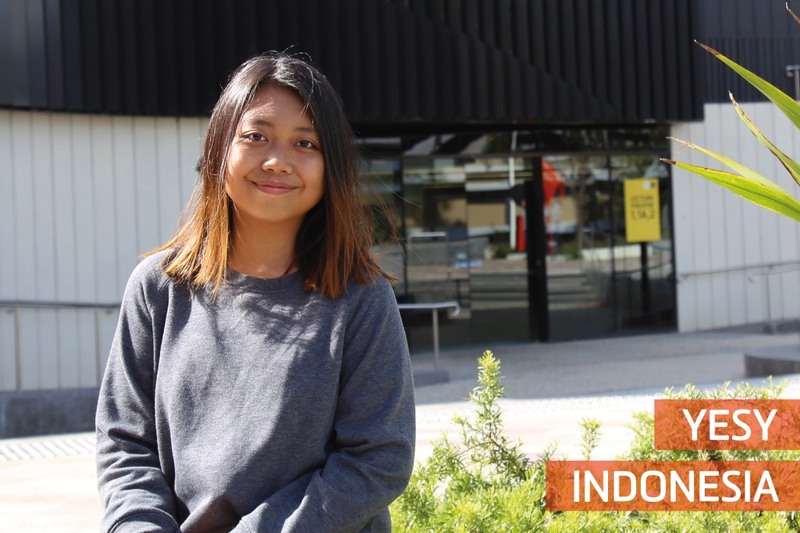 I am from Indonesia, and I am studying a Bachelor of Arts majoring in Public Relations at the Burwood campus. There are heaps of reasons why I chose Public Relations as my major. Mainly because I have always loved speaking in public and writing. I grew up as an extroverted kid and to channel it in a positive way, I engaged myself with several competitions involving those two skills, including a spelling bee, news reporting, debating – you name it. During my final year in high school, I did some research on how to build a career out of my two passions – speaking and writing. After hours of reading and Google-ing what public relations is all about, I was very sure that this is what I need to pursue. I first asked my dad for his permission to study abroad to Melbourne, and he said yes. I then studied at Deakin College in Jakarta for 8 months to fast-track my entry into Deakin University. During my time at Deakin College, I was delighted to receive the Navitas Academic Merit Scholarship, and 2 weeks after I finished at Deakin College, I flew to Melbourne to continue my journey to Deakin University. And this is where it gets challenging. The first two weeks in Australia were the hardest. I came to realise that living abroad by yourself is not easy. I had to cope with many things, from cultural differences between Australia and Indonesia to the simplest things like doing my own chores. Despite the struggles that I experienced upon moving here, I still enjoyed my time in Melbourne and studying at Deakin. Despite the struggles that I experienced upon moving here, I still enjoyed my time in Melbourne and studying at Deakin. As time passed by, I managed to find a part-time job, make new friends, get involved with some student organisations, travel to new places, do some volunteering, participate in student mentoring, and much more. After two years of studying and living here in Melbourne, this will be my last trimester at Deakin. I will be graduating in December, and I plan to continue doing what I love and to be the best that I can be. My journey living in Melbourne and studying at Deakin helped me grow as a person and this is something that I would not trade for anything else.